Math Mentor Text - Probability and Probably a Freebie!! 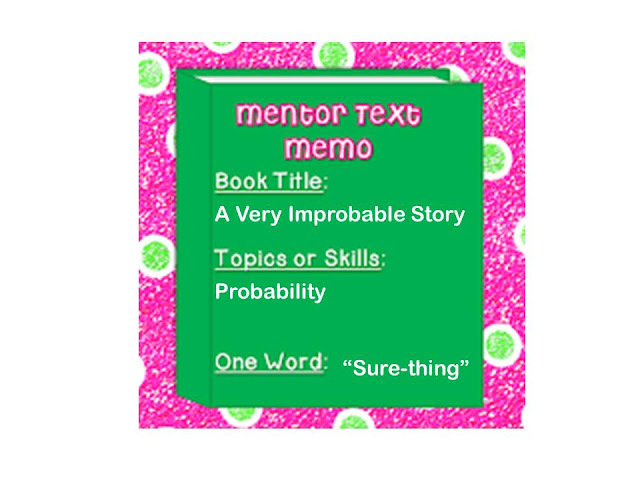 I am linking with Amanda and Stacia's Mentor Text Linky. Be sure to check out all the great book ideas being linked up at their amazing blog, Collaboration Cuties. I love this book because it breaks down each situation and discusses the actual probability of being able to complete the challenge. 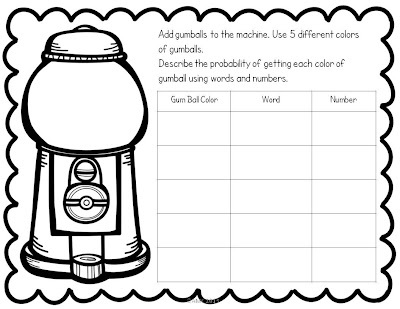 There is loads of opportunities for using probability language, using numbers to describe probability and extending the book - like having the students create their own challenges with varying degrees of probability. I used this book as part of my Bubblegum Probability unit. Here is a sample activity for you. Just click on either of the pictures to download a copy. Thanks Amanda and Stacia, without the two of you and this awesome linky I would not have found this book! I am also linking this up with Classroom Freebies! Only 3 more Mondays for me!!! This looks like a great book! I'll have to check it out! This looks like a wonderful book. Thank you for the freebie! I can't wait to use it next year. I have never heard of this book. I'll add it to my summer reading list. I think my daughter will love it (having a cat and all). I've gotten so many new book ideas through this linky. Thanks for the activity and for sharing. I have only read Cloudy with a Chance of Meatballs! The other two look really cute! I can not take credit for you finding new books (exactly) but you are welcome! You are too sweet! Thanks for linking up friend! How many more days til summer for you? I teach 6th grade, and I love the MathStart books. Even 11 and 12 year olds love to be read to :) and it helps show a math concept - and it was written for math...love it! Love the book and the freebie!!! Thanks so much for sharing!! Neat! 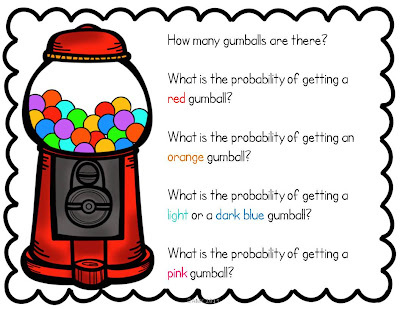 Probability is an intriguing subject. Thanks for sharing!